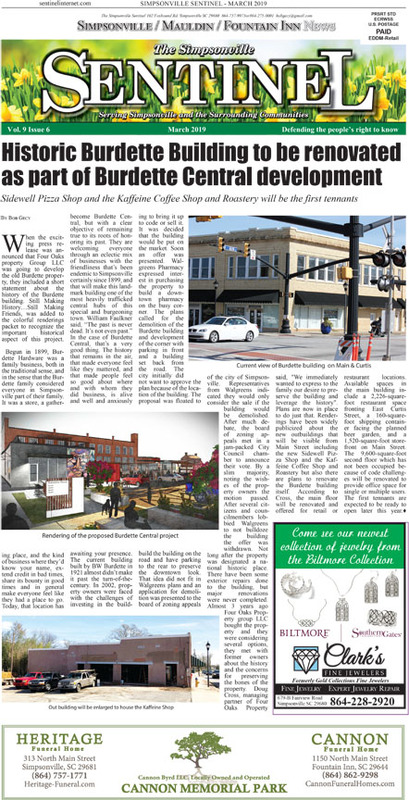 The University of South Carolina Union Campus in Laurens offered its second class from the “ Discovering Laurens County “ book series in conjunction with the Laurens County Museum. The Class was on Native American Culture and was well attended with 25 members. Richard Fowler, one of the authors and editor of the books taught the first class on the Native Americans and the first European settlers. The second class was on the Cherokee. 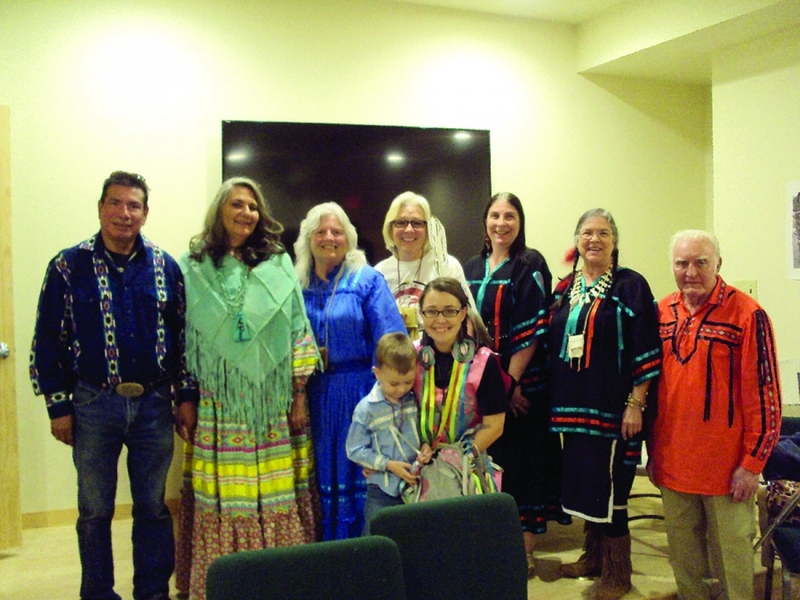 Chief Mary Louise Worthy told the history of the Cherokee and the PAIA Lower Eastern Cherokee Nation located on Warrior Creek Church Road. 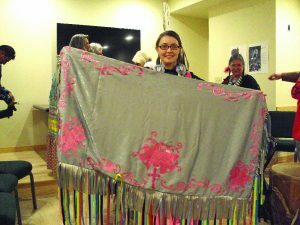 They have classes for school groups and a Pow Wow. The tribe was chartered in 1984 and recognized by the State in 2006.A video of the Southeastern Cherokee was shown. Sarah Jane Armstrong talking about Petroglyphs in Laurens County and the archaeology sites in South Carolina. 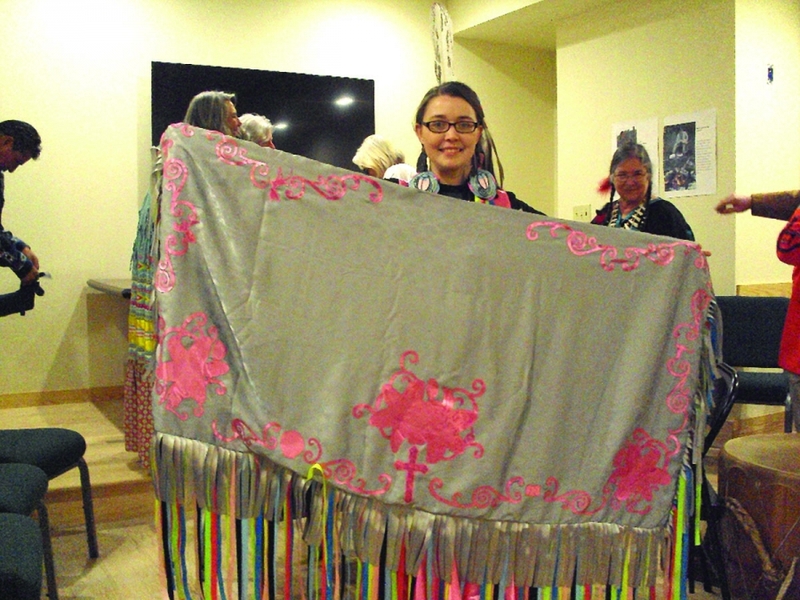 Kimberly Night Bird Lance shows handmade shawl which symbolizes important things in her life. Richard Buffington, Kim Two Moons Erwood, Chief Mary Louise Wolf Woman Worthy, Victoria Yellow Rose Norris, Deborah Moon Wolf Pope, Patsy Dancing Wolf Durham, Gene News Carrier Durham, Wyatt Beaver Lance, Kimberly Night Bird Lance. Debbie Vaughn and Billy Lightwalker, potter and flint napper look over a piece of ancient Woodland pottery. 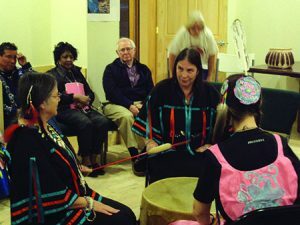 The third class was taught by First Chief’s wife, Victoria Norris. She is an excellent Cherokee storyteller. Norris also spoke Cherokee and taught the class several Cherokee words. 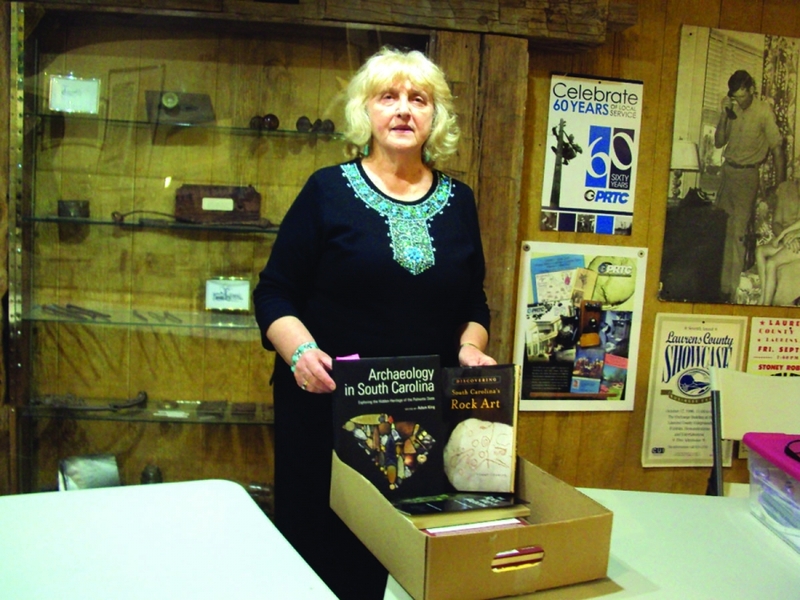 Sarah Jane Armstrong, another contributing writer for the book told about Petroglyphs in Laurens County and the upstate. She shared her pictures of Archaeological research in South Carolina. The fourth class was at the Laurens County Museum to view the artifact collections. 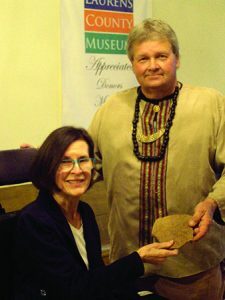 Terry Burdette gave the history of Dr. Robert Crawford ‘s Native American Indian Artifact Collection from the Yadkin River near Salisbury, North Carolina. Tommy Charles, retired from the Research Division of the University of South Carolina Institute of Archaeology and Anthropology has donated his Native American Indian Artifact collection to the Laurens County Museum too. 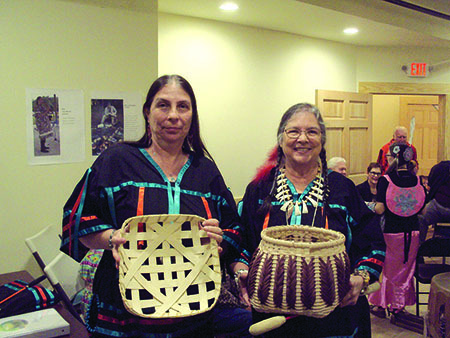 The Laurens County Museum has one of the largest Native American Indian Artifact collections in the South.